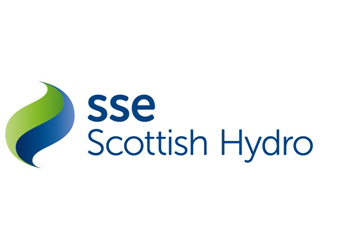 SSE Scottish Hydro unbiased review: How do they compare? How much will electricity from SSE Hydro Cost? Who should use this company? Looking to save yourself money and do your bit for the planet? SSE Hydro is a market leader in electricity from renewable sources. They can also help you to reduce your energy consumption so you can save your business money and reduce your carbon footprint. What do current customers think of SSE Hydro? SSE Hydro is a subsidiary of SSE (Scottish and Southern Energy) since it merged with English supplier, Southern Energy, in 1998. The SSE group serves 300,000 customers and has 19,000 employees. SSE is one of the largest generators of renewable energy in the UK with its largest energy source being hydro followed closely by wind power. In addition to electricity services, SSS Scottish Hydro also offers gas, phone and internet services. SSE Hydro offers a range of contracts depending on whether you want to purchase both electricity and gas, or only power, and if you wish to fix your rate or have a variable deal. If you want your home to run at its most energy efficient, then this is the plan for you. You will need to have a range of energy saving devices installed, but as a result, you will save a bundle by using most of your energy during three low-tariff periods each day. SSE hydro offers a 100% renewable energy contract so that you or your business can be assured that your electricity is carbon neutral. Financing is also available to help you make your home more energy efficient, through SSE Green deals. Why buy from SSE Hydro? SSE Hydro gives you lots of choice in how you contract with them. They have variable contracts with no fixed term and multi-year contracts that allow you to lock in a reasonable price. You can also choose how you are billed (monthly or quarterly) and how you like to pay (prepayment, direct debit, cheque or credit card). Changing a utility provider is usually a painful process. SSE Hydro acknowledges this and promises to make the process as easy as possible, and they will work hard to complete it within three weeks. SSE Hydro will manage the process for you and contact your current provider so you can get the process moving with a single call. video chat also available for hearing impaired customers. SSE Scottish Hydro prides themselves on their speedy issue resolution. If SSE’s customer service team is unable to resolve your issue immediately, they will try and have a solution to your complaint by 8 pm the next working day. According to industry reviews, SSE Hydro group as a whole rank in the middle of the pack. In an annual survey by Which?, 8,761 members of the public ranked SSE Hydro 24th out of a total of 31 energy companies. SSE’s customers gave it 3/5 stars in all the categories of Which? A survey including value for money, billing and complaints handling. Jerry Shannon Brown: That was the quickest, nicest, and most informative customer service, and products that someone needs. Anytime, and anywhere in the world. I would highly recommend this digital service as the top site for your purchase needs. Hats off to SSE. Dan on Trustpilot: I have had the most abysmal customer service from SSE Hydro, it would be laughable if it weren’t a sign of gross incompetence. I don’t usually leave reviews, but after four months of really poor interactions, all I can say is no matter what offer they make nothing is worth the headache of trying to deal with them. Of the six big energy providers in the UK, SSE Hydro is a safe bet. They offer a range of products so you can find one to suit your needs, and their rates are on the low end. They are also a great option if you are interested in reducing your electricity consumption or using more green energy. SSE Hydro focuses on renewable energy and has some cool products and discounts for energy efficient customers. Comparing energy suppliers is a tough task, with so many tariff options from each supplier and localised pricing. We can help you see through the noise and find the right provider and price for you. Use our comparison tool to get quotes from a range of suppliers.